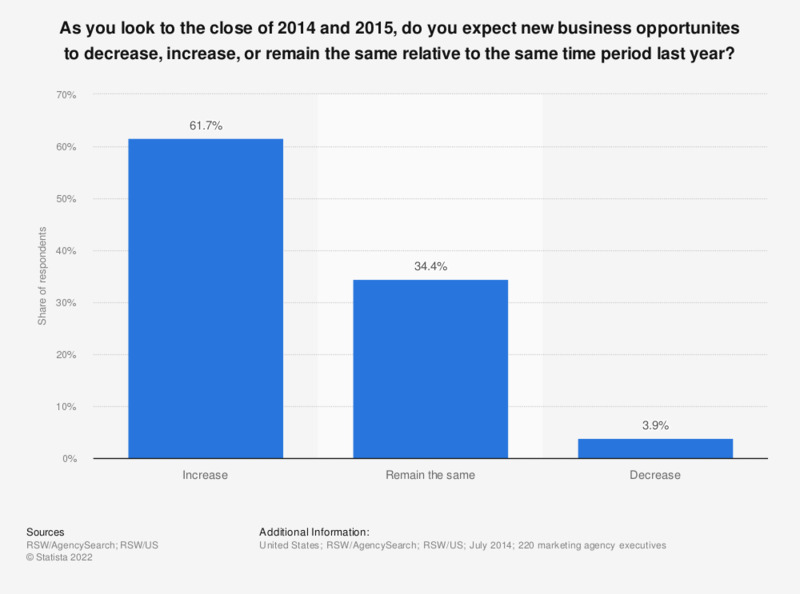 The graph presents the opinions of U.S. marketing agency executives on whether new business opportunities would increase, decrease or remain the same in 2015. During the survey, almost 61.7 percent of respondents stated they expected new business opportunities to increase. Statistics on "Startups in Israel"